How do you set focus in AS3? For this article we are going to draw something with a little complexity to better compare the two languages. 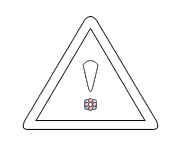 I have chosen a warning icon I made in Photoshop. As we dive right into the code try not to be too concerned about the math. 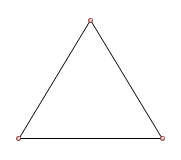 The point of this article is not to explain the trigonometry behind a triangle, just to compare how we draw the triangle. That said, the first thing we do is declare a few variables. A triangle with rounded corners, a gradient fill, and a subtle shadow. A smaller triangle border inside of the background. A bang character "!" inside the center of the icon. Although beginning a path is slightly different, both JS and AS3 use the methods moveTo and lineTo. 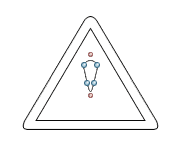 To add a little complexity, let's round the corners of the triangle (and we are not going to take the stroke shortcut I used in in my previous article: HTML 5 Canvas Example). To round the corners we will use Bézier curves, which are supported by both languages. The type of Bézier curve will be quadratic (opposed to cubic). Quadradtic Bézier curves have two anchor points; the curve of the line between them is defined by one control point (Cubic Bézier curves have two control points). Adding a pair of control points at each corner will give a rounded effect. 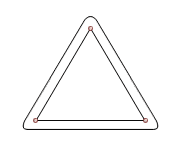 Next we create a smaller triangle within our first triangle. Later we will stroke it and utilize standard properties to curve the border of our stroke for us. Again the major difference between the two approaches are the methods quadraticCurveTo versus curveTo. We are almost there, but there is something missing. Let's add a subtle shadow.